Through the leadership of the UTRC and the SUNY Polytechnic (Poly) Institute, the Strategic Market Alignment for Roadway Technologies (SMART) Consortium strategy was launched in 2014 and now serves as one of the premier platforms to align leading industry experts, university researchers and government officials to support the sustainable development and deployment of connected and autonomous vehicles. In 2015, participants of the SMART Consortium supported NYSDOT’s Connected Vehicle proposal deemed acceptable by USDOT and NYCDOT’s Connected Vehicle proposal funded by USDOT. 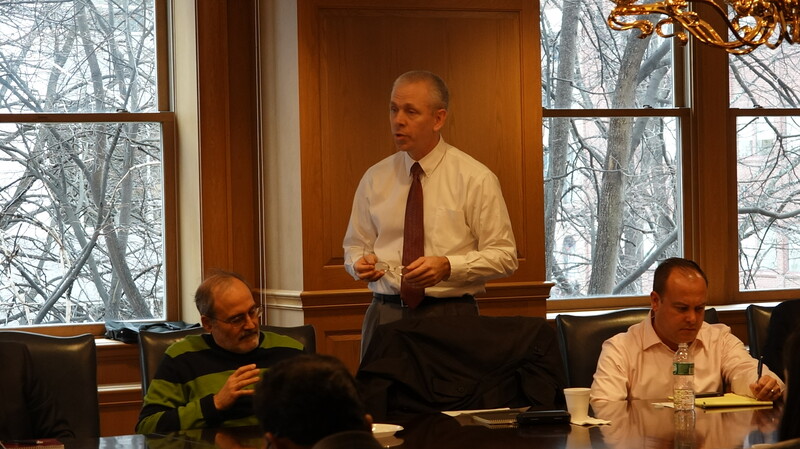 To continue the momentum into 2016, Joah Sapphire of Global Dynamic Group moderated the second SMART Consortium meeting held on December 3, 2015 at SUNY Poly’s Smart Cities Technology Innovation Center (SCiTI) at Kiernan Plaza in Albany, NY. The first half of the meeting included presentations by Brian Digman of NYS Thruway, Dr. Mohamad Talas of NYCDOT, Mahanth Joishy of NYCDCAS, Bill Geary of Erie County, Dr. Everette Joseph of NYS Mesonet and Adam Ruder of NYSERDA detailing government projects and funding opportunities in the pipeline. 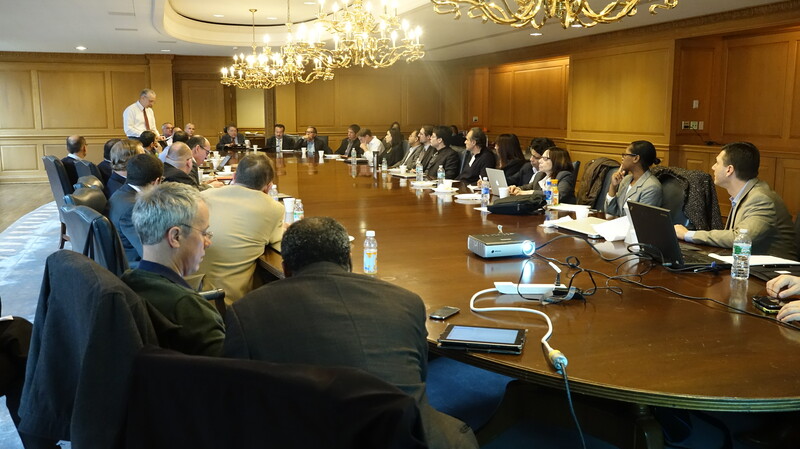 The second half of the meeting included presentations by David Bruemmer of 5D Robotics, Dr. Stelios Patsiokas of Sirius XM, Dr. Tao Zhang of Cisco, Dr. Alain Kornhauser of Princeton, Brian McLain of Syracuse University and Kishor Bagul of Cloud and Things summarizing industry and university driven research and development. This meeting provided the unprecedented opportunity for key decision makers to have substantive face to face discussions around specific projects to support the collaboration necessary for the development and deployment of complex system of systems. There was unanimous consent among the participants of the meeting to continue the SMART Consortium efforts and expand the number of participating representatives from industry, university and government.